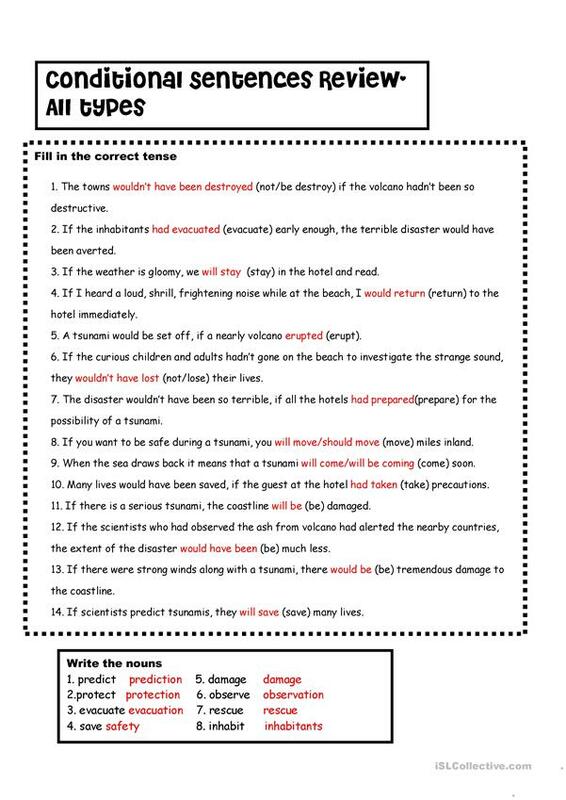 Review all three forms of conditionals - 1,2, and 3. Discuss the correct formation with students prior to completion of the exercise. The teacher might also discuss about tsunamis too. Key is included. The above printable, downloadable handout is recommended for high school students and adults at Pre-intermediate (A2), Intermediate (B1), Upper-intermediate (B2) and Advanced (C1) level. It is valuable for revising Conditional 1 (first conditional), Conditional 2 (second conditional) - would, Conditional 3 (third conditional), Conditionals and Conditionals - Mixed conditionals in English, and is useful for honing your class' Reading and Writing skills. 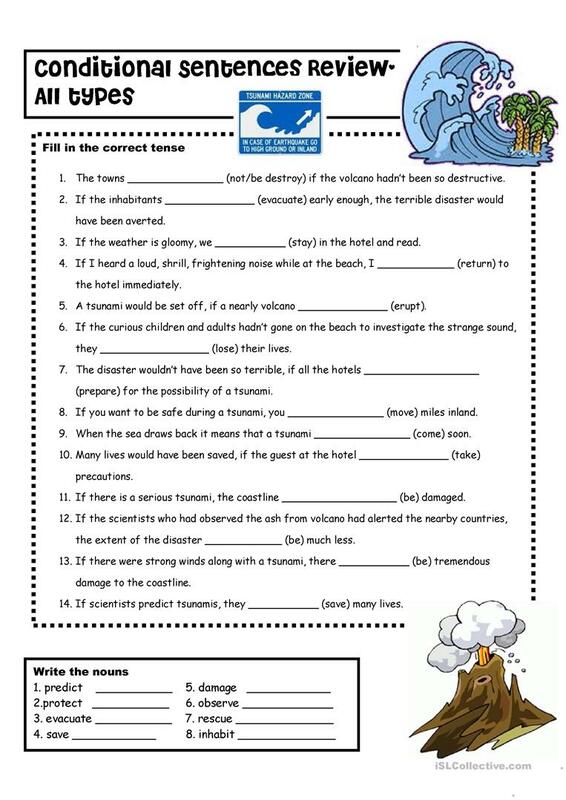 It features the vocabulary topic of Environment and Weather. The key is provided, too.